The Rockford Register Star is the primary source of local news, information and advertising in the Rock River Valley. Its journalists provide the latest and most important local news, sports, entertainment, business, and obituaries. Take the best with you. Use it now. Share via e-mail, Facebook and Twitter. The Register Star app is free to download, and all users can access a sampling of articles per month. For unlimited digital access, users can choose either a monthly or annual auto-renewing subscription. 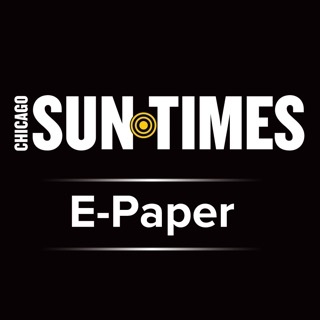 Subscribers get full access to all content in-app, plus unlimited Register Star web and e-edition access. New monthly subscribers receive unlimited digital access for just 99¢ for the first month,* charged to the subscriber’s iTunes account at confirmation of purchase. The subscription will renew automatically each month after for $3.99, charged within 24 hours prior to the end of the current monthly period. Annual subscribers receive unlimited digital access for $24.99 per year, charged to the subscriber’s iTunes account at confirmation of purchase. The subscription will automatically renew each year after for $24.99, charged within the 24 hours prior to the end of the current annual period. Will likely cancel my online subscription because the app often crashes when I click the “read more” button on stories and obits. I wanted to reconnect with local news but this isn’t working out well. The app closes on you every time you try to read the obituaries. Very frustrating!!! Please fix this. Crashes quite often and news isn't updated timely enough.